free book is June 15.
free book is August 31. 50th anniversary of the lunar landing. How does the Mayor's Summer Reading Club work for KIds? 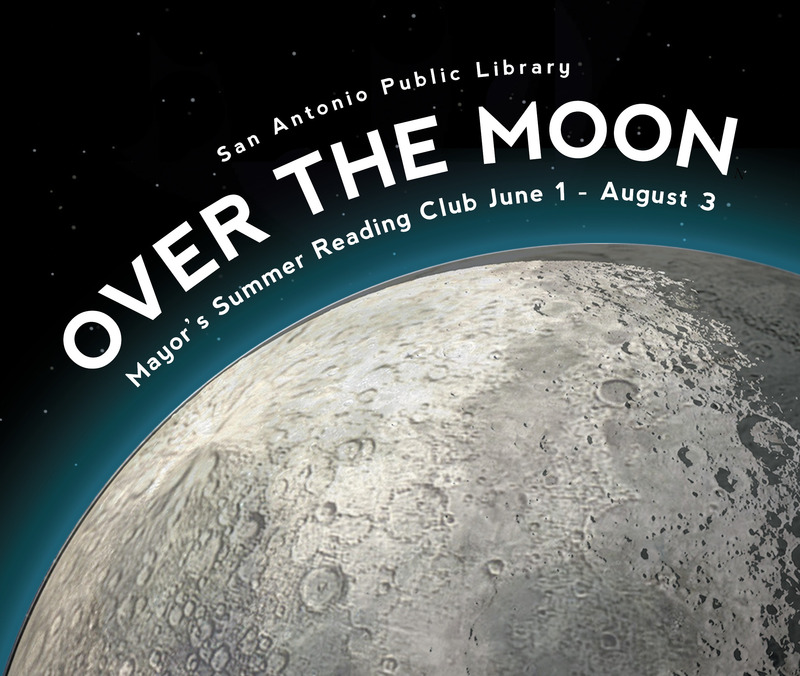 Register for the Mayor's Summer Reading Club at any San Antonio Public Library location to get your Over the Moon reading log. Use the eight phases of the moon on the back of the log to record the titles of books you read (or listen to) this summer. When you have logged eight titles, bring your Over the Moon reading log back to the library to receive your Summer Reading certificate and select a free paperback book to keep. And what about summer programs? Anything special to look forward to?